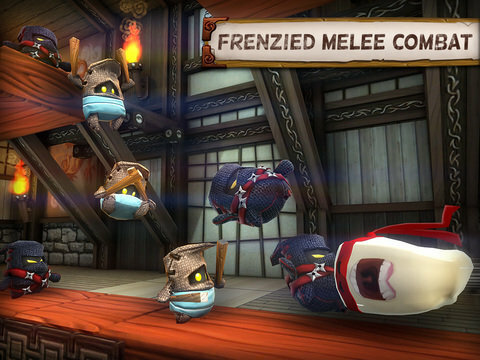 Players flick and fling a stretch, bouncy block of ninja tofu around dangerous maze-like levels, collecting zen, avoiding spikes, knocking down walls and even facing off against evil bosses. Take it fast and try to beat the per-level timer, or take things slowly, carefully calculating moves to collect all of the zen and stay within the desired movement count or just try to complete the level period. Featuring a cool new isometric 3D view when aiming, this is a rather nice new entry in the series, elevating it to a new level. It is a fun new entry in the series that is definitely worth checking out, if you have not already done so. How would you like to win a FREE copy of To-Fu Fury? Once again, the generous folks at Amazon Game Studios have been kind enough to give us a number of promo codes for free copies of To-Fu Fury to give away to some of our very lucky readers. To enter all you have to do is use the simple Rafflecopter entry form below. The more of the tasks you complete, the more entries you will receive. This contest is open only to residents of the United States*. DO NOT TRY TO ENTER THIS GIVEAWAY MORE THAN ONCE (USING MULTIPLE NAMES/EMAIL ADDRESSES) OR ALL OF YOUR ENTRIES WILL BE DISQUALIFIED.